We present to you a Show for the Dogs. Last weekend Animal Voices went to the movies! To start this show, we present a review of a film running in major cinemas now: Free Birds. The premise of this animated film focuses on saving all the turkeys from being killed and eaten at Thanksgiving – so does this mean we have an animal rights film being promoted to the mainstream public? Then, for World Vegan Month, Cynthia presents some useful tips for shifting to a plant-based diet, especially for past U.S. Vice-President Al Gore, who was reported this week in the news as having gone vegan! Our first interview is with Ewa Demianowicz, who is a companion animal campaigner for the non-profit organization Humane Society International. She works for HSI on issues in Canada concerning puppy mills, that is, the breeding and raising of puppies in substandard conditions for sale in pet stores, on the internet, and through brokers. Ewa talks to us about the numerous problems with this industry, and tells us about a recent puppy mill rescue that HSI conducted in September, where over 100 dogs were seized and rescue from a breeding facility in Montréal, Québec. 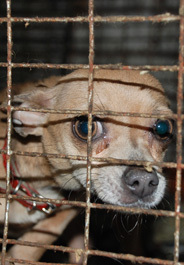 To find out more about the problems with puppy mills, and HSI’s campaign to put an end to them, please visit this webpage. For our feature interview, we have animal activist Ashley Fruno on the show, who originally hails from Vancouver but has been working for the animals in the Philippines for the last 7 years as the Peta Asia-Pacific senior campaigner. In her spare time she has started the Pasay Pups Project, to help the dogs and cats in an impoverished area of Pasay City, where she has taken it upon herself to connect with the people there and to make a positive difference in the lives of 200 dogs in the area by providing them with veterinary care, spaying and neutering, fresh food and water, and love. 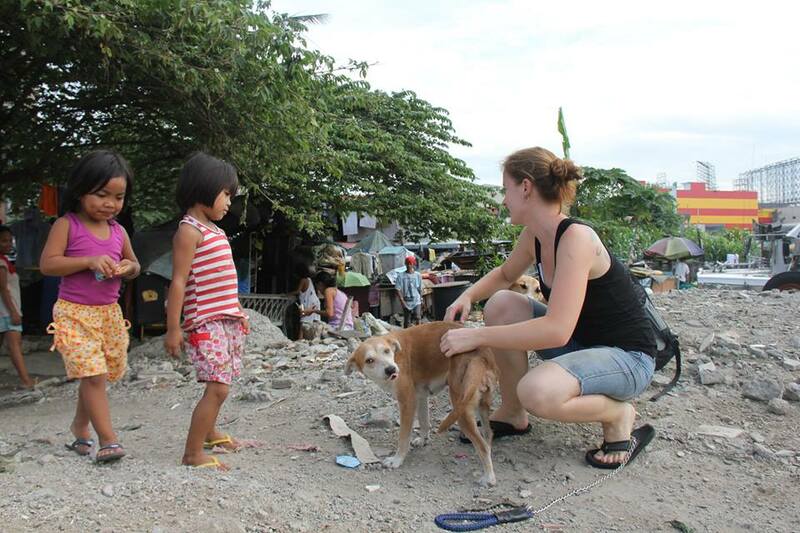 She talks to us about the situation for dogs and cats in the Philippines, and also provides insights into how the animals are doing in the aftermath of the destructive Typhoon Haiyan, which took many lives in the Philippines when it hit three weeks ago. Currently, animal rescue organizations such as HSI, WSPA, and IFAW are on site to provide rescue to the many animals who need the help. You can go to their websites to make a donation if you wish to help, by clicking on the preceding links. And to help Ashley in her endeavours with the Pasay Pup Project, you can click on this link to make a donation, which will go a long way!